Indianapolis Flooring store, Kermans Flooring, gives away a beautiful area rug each month! 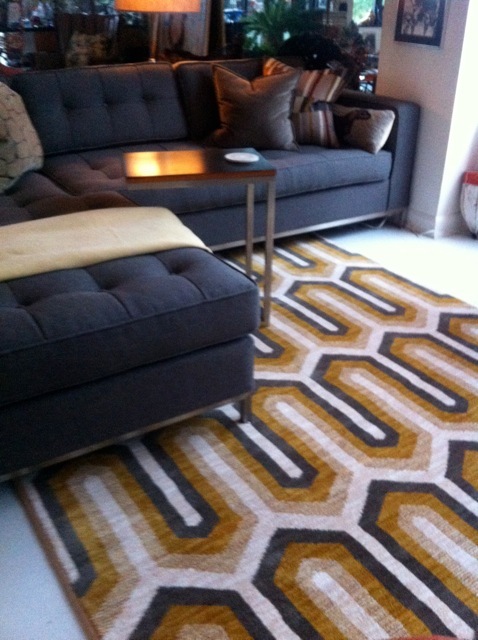 Our store selected another lucky Rug-A-Month Giveaway recipient: Patrick Dutchess from Indianapolis, Indiana. 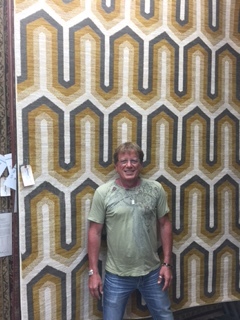 After Patrick's name was randomly selected from our in store drawing, he stopped by the store to pick out his new area rug. He selected this modern geometric wave design that works great with his living room furniture. Congratulations Patrick! Need help with your area rug decision? There are so many options with area rugs that it is important to consider a few things before you start shopping. Check out our buyer's guide for more information or stop my our showroom to talk one of our design consultant's for help.